With so many Electric toothbrushes on the market, it can be quite dizzying on what the hell to go for. You don’t want to be buying something that you will regret straight after. This review is all about my experience with the Oral B 5000 Series Toothbrush to see if it was better than my entry level brush that I brought 6 months ago. It’s a mid range model which makes it a perfect choice for me and hopefully once you see the results and benefits that I obtained, you too will be in a position to make a well-informed decision. Even if you decide that this particular toothbrush is not for you, there is no doubt in my mind that electric is the only way forward. They have been proven to remove more plaque than manual toothbrushes. I honestly don’t know why I was attracted to this toothbrush. It was just love at first site. Don’t get me wrong the brush has some excellent features and benefits which pulled me towards it. You can get higher range models with slightly more features but honestly, this toothbrush is all you need. Gets the job done in a wonderful fun way. Not to mention the fact that I brought this Brush from Amazon on the day they had a massive flash sale. I paid £90.99 ($119.00) but the usual price was £170.00! ($224.00) giving me a massive saving of £68.00. This was indeed a lucky day for me. I’m not sure whether that offer sill stands but you can go and check it out on Amazon to see if you can get a bargain! It’s always exciting to receive a package and then ripping it open to see the product for the first time. Always brings a smile to my face. But the big question is whether I received everything that I was supposed to? I live in the UK and didn’t realise that the charger will be a 2 pin socket. I was a bit frustrated when I noticed this but soon remembered that I already had an adaptor that I used with the entry level oral b brush I had. If you live in the USA you will be alright. But anyone else not living in the USA, make sure you have the right adaptors that will connect to this type of charger. It won’t be too difficult. You can get them at a major retail store or even buy them online. This is a neat little suitcase for the brush and is well-built. You can also fit 2 brush heads in there and is made out of plastic so if you drop it accidentally, you won’t damage the contents inside. If your going for a short business trip or holiday for a week, this is perfect. The sole reason for this component to be included in the box is because of the Bluetooth functionality that the oral B 5000 toothbrush has. It holds your phone in place while you are brushing and gives you real time feedback on what you can improve on. 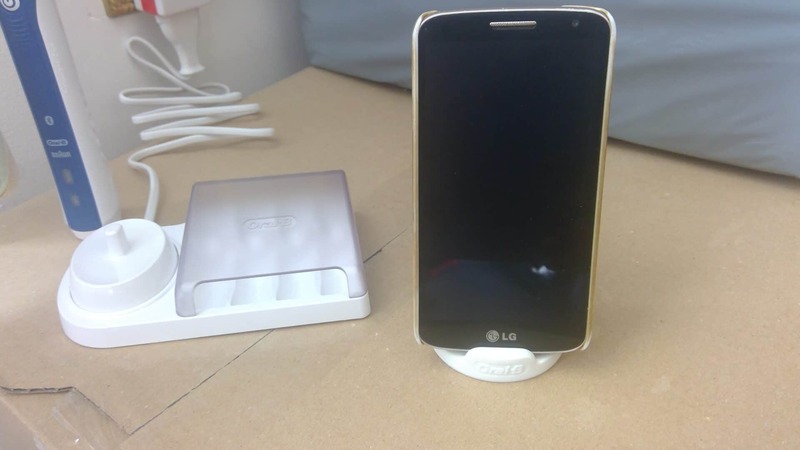 You can see that it holds my LG smart phone perfectly in place. It does state it holds most phones but I’m not sure it will be suitable for the bigger range models so bear that in mind. This brush head is best suited to the daily clean mode but it doesn’t matter too much as all the cleaning modes will do the job sufficiently. Oral B state that this criss-crossing of bristles at an angle gives a wider cleaning surface area, so most of the tooth will get cleaned. We would say use this brush occasionally just to maintain the white smile because when it actually comes to cleaning the teeth, the other brush heads do a superior job at removing plaque and food debris. This is one of the smaller brush heads going around and in comparison to other heads, it’s bristle alignment is much flatter across. As the name suggests it’s primary focus is to be gentle on the teeth and gums for people who have discomfort. It’s designed to keep a nice consistent cleaning motion across the teeth and gum lines. The only criticism would be it’s flat across bristle arrangement does not adapt to the tooth’s shape as well as some of the other cupped ones do. This is very convenient and makes storing the brush very easy. It has space for up to 4 brush heads and protects them from splashes but also allows airflow in and around them to help keep them dry. This is very important because moisture will attract bacteria and we don’t want that! The compartment has been made in such a way that it fits perfectly around the charging stand creating a kind of desktop home if you like for the brush handle and heads. This is the main component and is packed full of technology considering how lightweight and compact it is. First of all you can see a red stripe on the back of the handle which is a light that flashes when you are brushing too harshly. If you keep doing this the brush will actually slow down and even stop to protect your teeth. 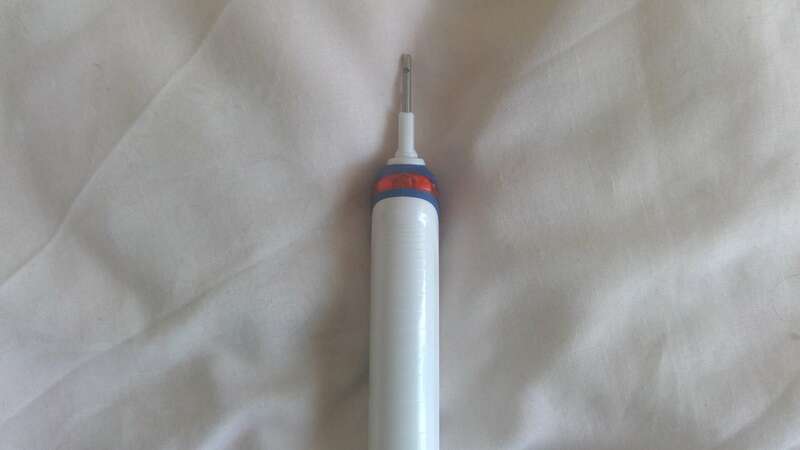 The second feature of this brush is the different modes you can access depending on the type of teeth care your after. Gum massage, Sensitive, whitening etc. More about this a bit later on. Another important feature is the 2-minute timer. Most people don’t even come close to the recommended 2 minutes but with this toothbrush you will always get your full cleaning in. It also vibrates after 30 seconds to let you know that you need to move onto another quadrant of your mouth. This is to help you get an even clean across the whole of your mouth! How Does The Oral B 5000 Feel: Too Harsh? (NOTE: The video below is a customer from America who purchased this product after reading our review. 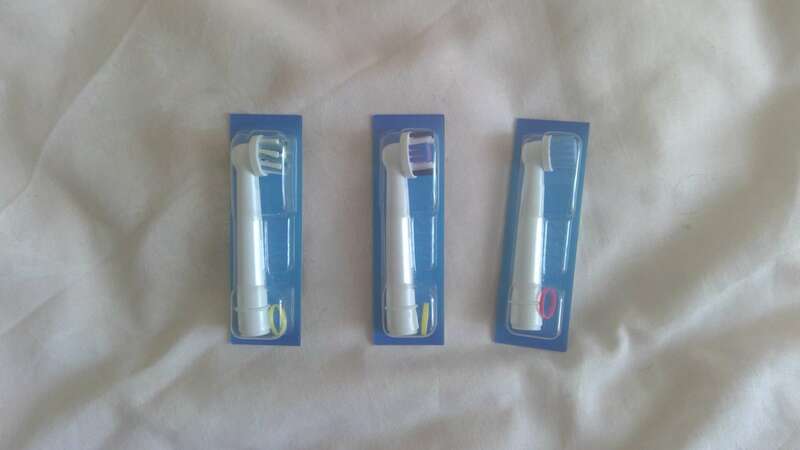 You can see that The American version only comes with 1 Toothbrush head compared with the 3 you get if your from the UK). Absolutely fantastic and No it isn’t too Harsh! The first time I used it, I noticed that it was much more powerful than the previous entry level model I owned and yet it wasn’t any harsher. To be honest it’s all about how you use it. Just gently placing it on each tooth for a couple of seconds is enough and won’t do any damage to your gums or teeth. I used the oral b cross action toothbrush for most of my sessions. I haven’t used the other 2 brush heads because the cross action is doing the job pretty well. That being said my bottom teeth are yellow and heavily stained so might test out the 3D white head and see if it does anything to help remove the stains. 4 Cleaning Modes – Any Good? The most common setting I use is the daily clean because I feel it gives me the most thorough clean and is the most powerful setting. My teeth have felt a lot cleaner and smoother. It’s hard to stop touching them with my tongue because they feel so clean. I should also tell you that my gums are a slight problem for me, they tend to bleed regularly during brushing. But since implementing the Bass Toothbrushing technique with this Electric toothbrush, there has been a sharp reduction on the amount and frequency of blood I spit. The gum care mode is really good at massaging the gums. You can feel the brush head being a lot gentler as it simultaneously powers up and down. Sensitive mode is something I tend to ignore because I don’t have any areas that are highly sensitive. But if your someone who has an area where you know there is an issue, you should use the sensitive Brush head with the sensitive mode for the ultimate comfort clean. The whitening mode is really good at polishing the teeth to make them shine but doesn’t really help remove the stains I have accumulated over the years. To be honest I don’t think any toothbrush is going to help me whiten my stained yellow teeth. I will have to go get some professional whitening done for that. But if you just want to remove minor tea or wine stains you have accumulated in that day, using the whitening mode will help lift off the stains and give you a shinier smile. The first feature is what makes Oral B so unique and that is the Oscillating-rotating-pulsating technology. This basically means that an electric toothbrush will continue to provide the same brush stroke time after time whereas a manually operated brush cannot offer this. This technology also cleans tooth by tooth and its round brush head reaches areas that are often difficult to reach, providing a superior cleaning every session compared to a regular manual toothbrush. Up to 100% more plaque removal – laboratory tests confirm that electric toothbrushes can remove up to 100% more plaque than a manual toothbrush. Helped by the power and consistent brush stroke the head of the brush sweeps along the gum line, across the teeth and in between to sweep away harmful plaque. Clean Timer Including Quad-pacer – A short stuttering sound at 30 second intervals reminds you to brush all four quadrants of your mouth equally. The long stuttering sound you will hear means that the entire 2-minute recommended time is up. What’s even cooler is that when the brush is turned off for a brief moment it will still remember the time remaining. After 30 seconds of being off though, the timer will reset. Visible Pressure Sensor – This is another feature that is more safety oriented. It will light up when you are applying too much pressure and if you don’t let up, it will decrease the power or turn the brush off. Rechargeable Battery – This is a lot easier and time efficient than having cell based toothbrushes and gives your brush an extended life. Oral B have not been very good when it comes to Battery Life, their actually one of the worse out there but this model has shown to give you a battery life in excess of 2 weeks on a full charge. That’s exceptional for any toothbrush! 4 Cleaning Modes – This is a great feature which makes this brush attractive to a wide range of people with different mouth conditions. Whether you have gum issues or are sensitive in particular areas, the Oral B 5000 Series has you covered. Bluetooth Connectivity and Smart Coaching – This is a nifty little feature that makes the brush appealing to the younger audience who are into their technology and data. But does it really help us brush our teeth better or just a bit of eye candy to draw people in? I’ll still tell you about all the different features available but it won’t be from a personal perspective, rather a combination of other peoples reviews and what oral B have to say. It is now found on more brushes because it’s actually in demand and more people want it. It’s essentially like having a dentist or hygienist looking over your shoulder guiding you to the right path. It’s basically an educational tool for better cleaning. A point to note is to be a little careful when in the bathroom because unless your phone is water resistant, you might want to make sure it is positioned away from a sink or bath. There are always good and bad in every product you buy but it all depends on if you can live with the negative things and whether they will badly affect your experience. The different cleaning modes that are offered with the brush are great but it is quite confusing which mode you are in because there is no sign or signal showing you. It’s a bit of a faff but you will initially have to refer to the manual book to know which mode you are in. But as time passes you will subconsciously remember the modes in the right sequence. Bluetooth Feature is a negative (Yes I’m a bit sour because my phone isn’t compatible). But it isn’t something that everyone will use and can be time-consuming to set up. It’s a good thought on the companies part but will need some more advertisements to really get it into people’s head. The Battery Status is non existent which means that you don’t really know the remaining power available. All you can go off on is the red battery indicator turning on to let you know the battery is low. I guess it’s not that big of a deal. It’s certainly better than my entry level brush which had nothing. Some days I would be in the middle of my brushing session when it would just turn off. That really pissed me off and I’m glad those days are behind me now! Pressure sensor is great because it signals when you are using too much force on the teeth. Believe it or not the most common cause of enamel wearing away is toothbrush abrasion. But with this feature you will no longer have to worry about damaging your teeth. The Contents Of The Box are really good and everything you need to have a wonderful teeth cleaning experience. It’s actually one of the most complete line up of useful accessories in a brush yet! Cleaning Modes have been mentioned quite a few times in this review but there’s no denying that this feature makes this brush so appealing to a large number of people. It’s particularly useful if you are sharing the handle. Timer And Quad-spacer are another top-notch feature that helps us get the recommended 2 minutes of cleaning and makes sure were getting all of our mouth equally. It’s a fact that when using manual toothbrushes, the amount of time we brush is drastically reduced. This feature will resolve that problem immediately. Waterproof Handle is another great feature that makes it easier and more convenient. Just get in the shower and do all of your business in one go. But try not to submerge the brush in water on purpose or for a very long time just as a precaution. With over 2600 reviews on Amazon and an average rating of 4.5 out of 5, you can see why this is a fan favourite. Not to mention it has been the best-seller and also Amazons choice on numerous occasions. After reading through various reviews the main consensus was that the Bluetooth feature was more of a hindrance for everyone rather than being helpful. Apart from that, everyone seems pretty happy with the brush and it’s cleaning capabilities as well as the battery life. “I had a Phillips Sonicare electric toothbrush for several years, and it finally died. 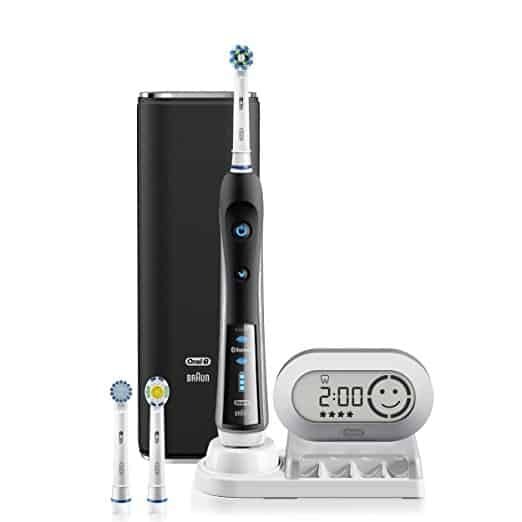 I decided to replace it with the Oral-B Pro 5000 SmartSeries Power Rechargeable Electric Toothbrush with Bluetooth Connectivity Powered by Braun, and I am very pleased with this new toothbrush. It leaves my teeth feeling very clean, I like the battery indicator and the travel case. Also, the instructions say that a full charge “…enables up to ten days if regular brushing (twice a day, 2 minutes). I would not recommend getting this for a child under 8 years of age because of the high power input the brush has but anyone else is more than welcome to buy it. It’s especially ideal for someone who has tried an entry level oral b toothbrush but is now looking to go to the next level and enhance their oral experience. If it’s your first time buying an electric toothbrush, this model is easy enough to use but also extremely helpful and powerful to get the best clean for your teeth. The Bluetooth functionality might however start confusing you more than helping so keep that in mind. If you don’t want to use it that’s fine, You really don’t need it to be honest. 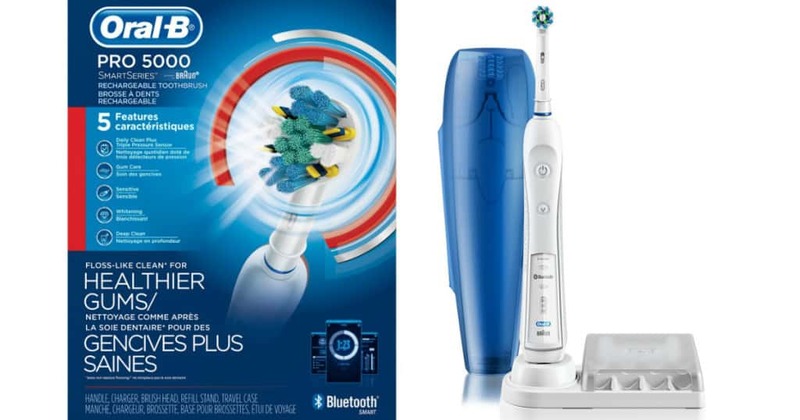 It’s actually the perfect mid level toothbrush that has most of the features from the top range models but yet, isn’t going to break the bank but It all depends on if you act fast because the prices tend to jump up and down with these products. 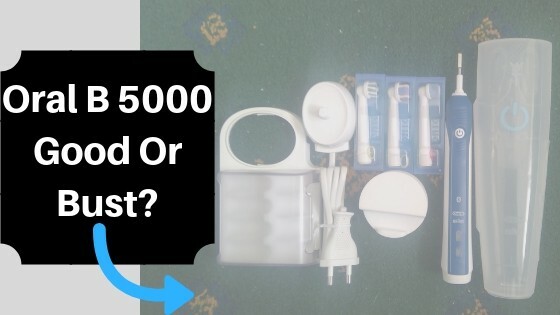 Is The Oral B 5000 Expensive? Well that depends on your own perception of what is expensive. For some people it might be a bargain, for others it might be too much but one thing I can tell you is that it does the job you want it to do and does it very well. I brought the oral B 5000 for £90.99 but on this particular day they had a massive deal on. The usual price was £170 which means I saved a massive £68.00. I checked today (11/10/18) and it’s gone further down to £84.99 but I’m not sure how long it will last so if you are interested be quick and get yours before the price shoots up!. For anyone from the USA, you too are in luck because the price has been reduced from $159.99 to $99.94 giving you a massive saving of $60.05. Like I said before the price can shoot up anytime so if you are thinking of buying this toothbrush, you need to hurry up otherwise you might regret it later on! If your wondering where the cheapest place to buy this product is then I would say it will be somewhere online. I have looked it up all over and the price is actually the same in retail stores as it is online. So I would say just go where you feel most comfortable and buy from that source. Make sure you get a warranty though. 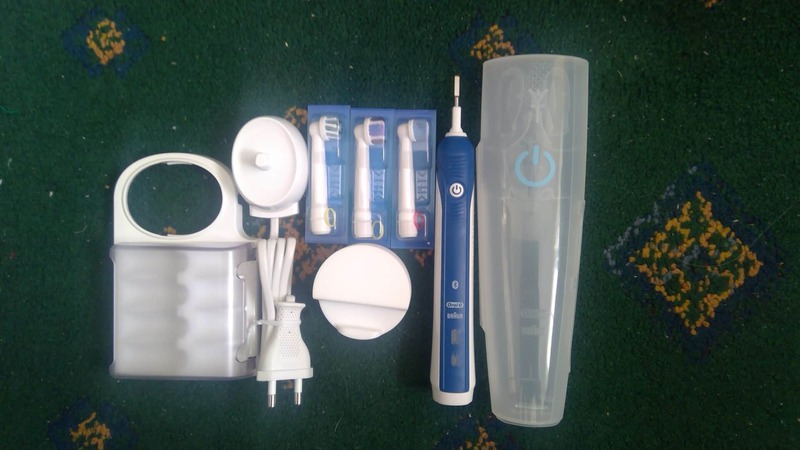 If it’s a genuine oral b product you will get 2 years warranty. 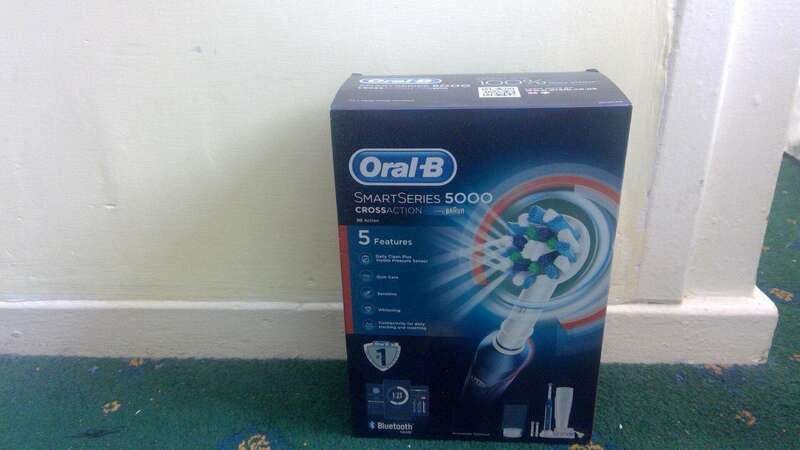 You can get the Oral B 5000 from major retail stores or you can order online from a good supplier like Amazon. That’s where I brought mine from and it was really fast. Only took a couple of days to arrive. Everything was as expected and no faulty items which is great. Any Good Alternatives I Should Consider? If your hearts set on buying the Oral B brand, there are a couple of other toothbrushes that you might like. 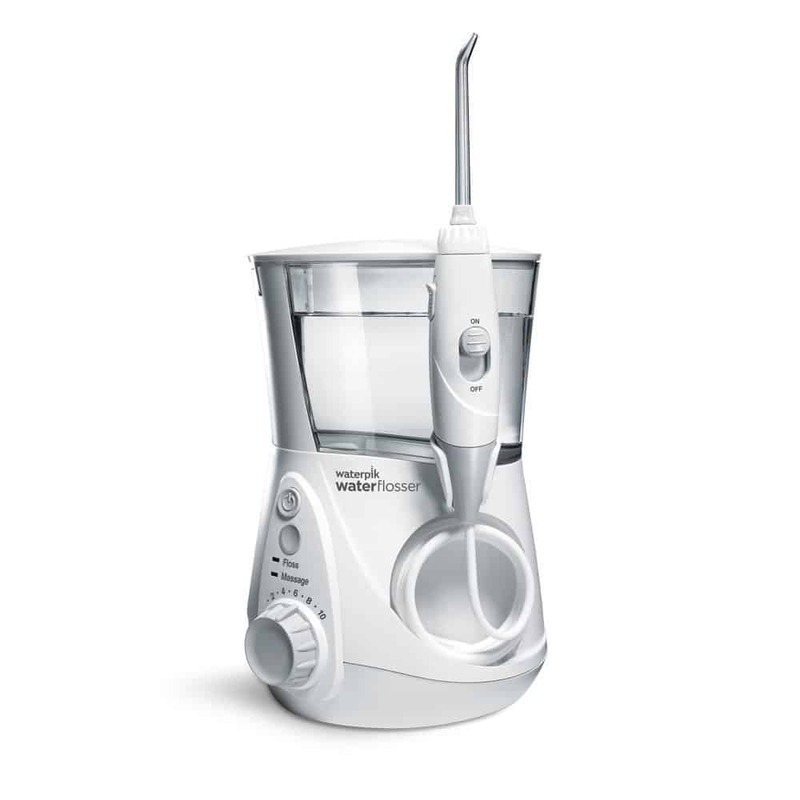 The Oral B 7000 and 9000 models are a step up from the 5000 model in terms of functionality and technology. If you want a full range of brushes to choose from please take a look at this article: The Best Electric Toothbrushes (2018). To be honest, I think metal scrapers do a much better job than brushes when it comes to cleaning the tongue. I tried both and the brush removed the least amount of white gunk from the tongue but I guess if your in a rush and need a quick clean than the tongue cleaning option on the oral b 7000 might be handy. This another major addition to the 7000 which the 5000 doesn’t have. It’s basically a visual teacher that encourages and guides you to do a better job at cleaning the teeth. When you switch on a Bluetooth enabled toothbrush, the display is triggered and shows a time and visual indicator. It gives you real time feedback as you are brushing. All in all this is a great little tool that will help you become more conscious about your brushing habits and help improve them. This brush is on the higher end of the spectrum currently costing £149.98 (down from £299.99). That’s an enormous £150.01 cut which makes me think…. Should I have gone for this instead? 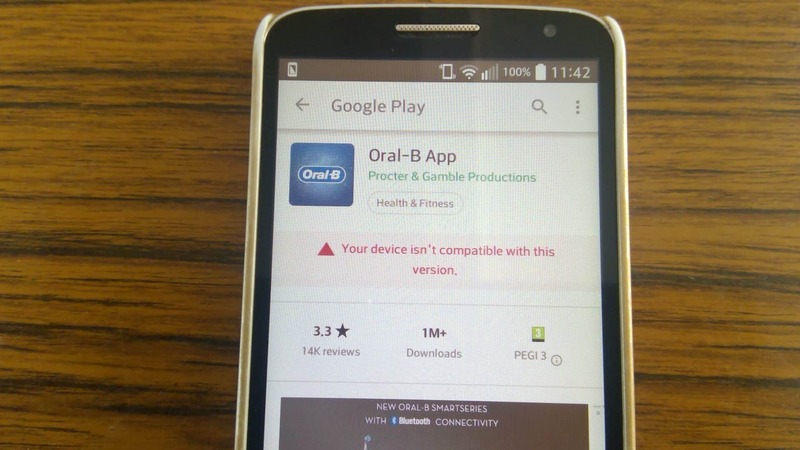 NO because I mentioned above that my LG G3 mini is not compatible with the Oral B app so I would really be paying for all the technology which I would not be able to use anyway. This brush is very gimmicky and isn’t too different to the Oral b 5000 when it comes to actual cleaning power. Yes it comes with 6 cleaning modes compared with 4 on the 5000 model but I guarantee you will not use every single mode. We tend to find the best mode that works for us and stick with that. If you have the money to spend and like different technologies then this is the brush for you, but honestly the Oral b 5000 does as good a job as cleaning your actual teeth. I can’t really comment on the effectiveness of the sonicare brand because I have never used them. My brother has a sonicare entry level toothbrush and he is enjoying it. If you want you can go do your own research and see which brand you want to try but I am going to sick with Oral B because they have worked beautifully for me so far. Obviously there will be people who will say sonicare is better than oral b and vice versa but honestly they are both good reputable brands and you will get cleaner healthier teeth no matter what you choose. 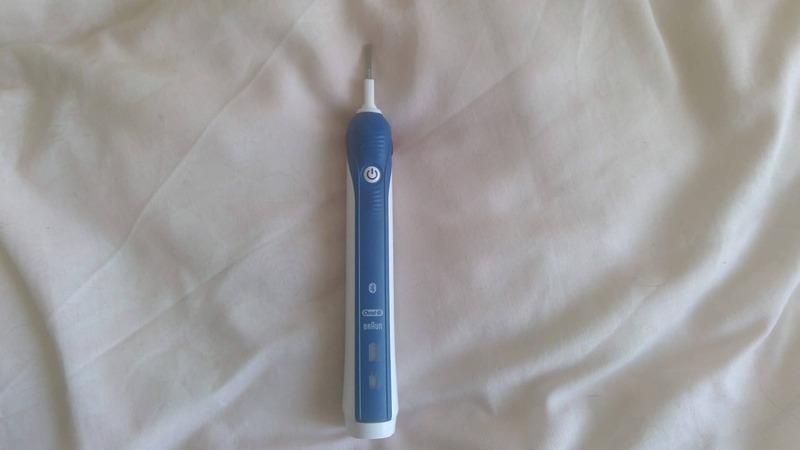 The Oral B 5000 Series toothbrush is what I chose for myself because I needed a brush that had some extra features and a slightly more powerful motor. It comes with a whole host of features that had me hooked. The most important ones being the pressure sensor and the timer. Did you know that one of the reasons people have enamel and gum issues is because they don’t implement the proper brushing techniques. But with this brush you will never have to worry about being too aggressive with your teeth. It takes a lot of the guess work out of brushing for you. The different cleaning modes are great and I change around frequently depending on my needs. I’ll be honest and say there are two that are my favourite: Daily clean and Gum care. My gums have become much healthier and I don’t bleed as much as I use to. The only negative I can think of is the Bluetooth functionality, the main reason being that I could not use it myself because my phone was not compatible. You could say im being biased but after reading numerous reviews online, most of the people who brought this toothbrush felt the same way. It took too much time to set up and get to grips with the different features that people just gave up. All in all this toothbrush is a mid range model that does everything you want it to do. Your teeth will feel clean after each use and it has a 2-year warranty to give you that extra piece of insurance if something does go wrong. The price might be steep for some people but if you can afford it, You won’t be disappointed. Q. What if I don’t have a 2 pin charger? A. You can use a 2 to 3 pin converter plugs, so you can charge your toothbrush elsewhere in the house. Note that a converter plug isn’t the same as a travel adaptor which are designed for short term occasional use. Q. Can you set up the app to allow multiple users to use the same brush (different heads Obviously)? A. No, unfortunately it really seems to be designed for a single user. The app only allows one user and while the brush can pair with multiple devices for multiple users it’s not implemented well. If you are sharing the brush with another person and you each *always* remember to open the app on your phone before you start brushing, then it will work OK.
Q. Is the battery replaceable? A. No, it’s not. It’s built in. You have to send the toothbrush back to Oral B. You may spend up to a month waiting on the replacement. The battery is the worst part about the brush. Q. In terms of toothbrush and cleaning teeth, what’s the difference between the 5000 compared to the 1000 or even 7000? A. The 5000 series provides the best bang for the buck. If you have an iPhone, the 5000 model without the separate display works just fine, it’s also less expensive. The main difference between the 5000 and 7000 is in the number of gimmicks. If you like a lot of extra stuff that really has no part in dental care and price isn’t a consideration, then by all means get the 7000. Any of the models below the 5000 just aren’t as good. They aren’t as smooth in operation and just don’t have the same feel I’ve been using my 5000 for two months and it does a great job. Q. What sort of battery does the SmartSeries 5000 have and how long does it last in real life usage tests? A. It is a solid unit with in built battery. Use it until the low battery light has been on for 2 days before charging then leave it to charge overnight. With this method you only need to charge about once a week, sometimes closer to 9 days. Q. Can I use the Smart 5 5000 in the shower? A. Yes the Smart 5 is water resistant so if you choose you can use it in the shower but avoid submerging it in water. Q. Does the Smart 5 come with a warranty & how long is that it? A. The brush will come with a 2-year warranty which can be extended by a further year to 3 in total if you register the brush online on Oral-B’s website. If you have any other questions or concerns about the brush please get in touch by commenting below because we will be able to help you out. I have firsthand experience with using the brush so am well-equipped to give you all the information you need. Thank you so much for this review. I really enjoyed reading it. I have been looking to get a new electric toothbrush for a while since I prefer electric toothbrushed over non electric ones. I am glad that I stumbled upon this review and your site! Your (very in depth) review really helped me make a decision! I had no idea that electric toothbrushes were so advanced nowadays! Thanks Los for stopping by and hopefully now you have a better understanding of how electric toothbrushes work and how advanced they have become. I have to say though, some of the technology is not really that helpful when it comes to actually cleaning your mouth. But i suppose it makes us more excited to start brushing properly which is a good thing considering gum disease is the most common condition among the general population. 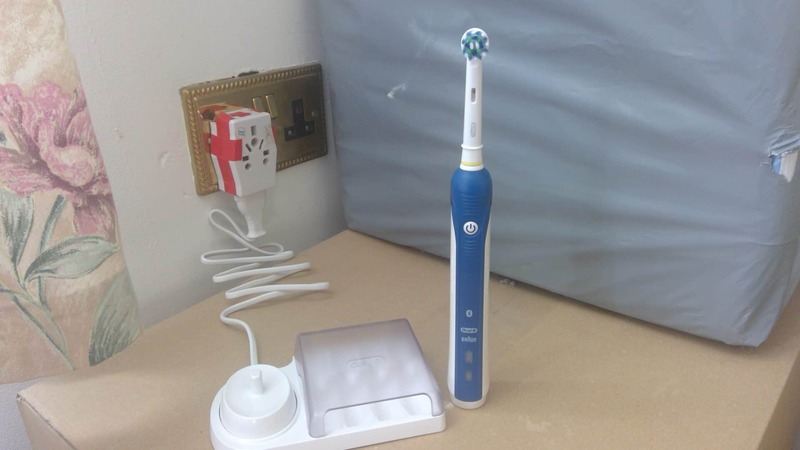 This looks like a very good toothbrush, I know that Oral B makes very good ones, we have cheap electric toothbrush and very happy about. But it is getting old and we need another one, and we know these kind of things are expensive, so we wanted to see and know what is good and what not. 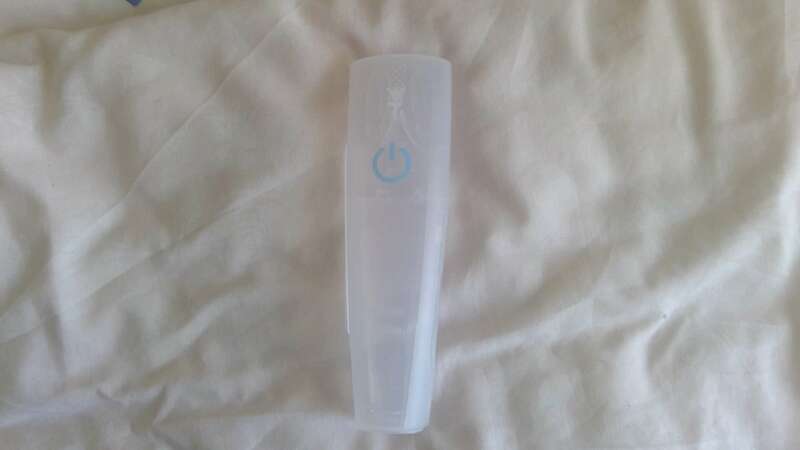 About the Bluetooth, also my phone won’t work with it, but no problem for me, it is still a toothbrush and if it is cleaning good, why I would bother. I love the fact there are 4 types of cleaning heads, sometimes my mouth is more sensitive than other times, so it is very welcome. Thanks to share this with us! Hi Emmanuel, thanks for commenting. You and me are the unfortunate ones when it comes to bluetooth technology. But your absolutely right about it being irrelevant because we can still get an exceptional clean without it. It isn’t cheap but won’t break the bank either. You could wait until Christmas time to buy it because the price will no doubt be going down. I’ve been thinking of buying one of these. Not so sure about the BlueTooth feature. I don’t really want another reason to tote my cell phone everywhere. Sometimes you want to unplug from these things, you know? I wonder if you know how well this model compares to some of the less expensive ones. Are the brush heads easy to find around town or do you have to order them online? I know what you mean and reading all the reviews about the Oral B 5000 the majority of people agree with you. It’s more distracting than being helpful. I can’t really say about the lesser models apart from the one i had previously which was okay but the battery was awful and there was no warning when the battery was low. Some days i would be in the middle of my brushing session when the brush would completely turn off. Really annoying! I’m pretty sure you can get replacement brush heads in major retail stores as well as online but the price might differ so do check everywhere before you buy.